Earlier this month, the pilot to a new comedy series called "Happy Hour" held a scoring session at the Eastwood Scoring Stage at Warner Brothers. The show is about two roommates – one who has been hurt by love, and the other who has been blinded by love – and their learning to live with their differences. 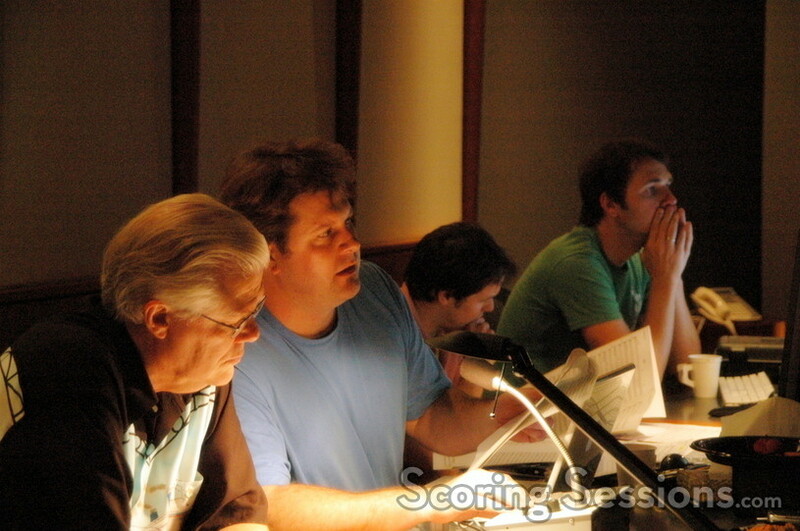 Hired to compose the score to the show was A-Frame Entertainment, comprised of composers Scott Clausen and Christopher Lee. 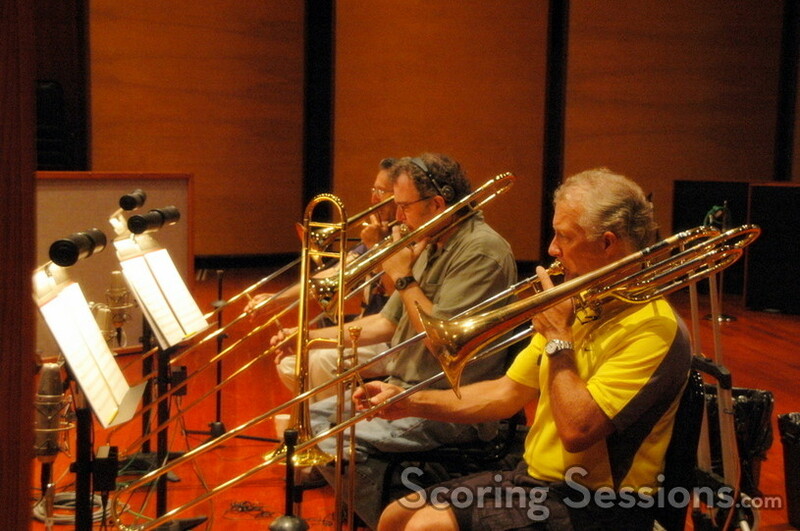 The trombones on "Happy Hour"
The producers wanted Dean Martin’s "Ain’t That a Kick in the Head" to serve as the main title, and set the tone for the score of the show. One of the lead characters "Larry", played by Lex Medlin, "believes that the time of day known as happy hour is a time to be cherished, where martinis and music lead us out of something bad such as work towards something good," explained Clausen. "This concept is a throw-back to the ‘Rat Pack’ days, and it was very important to the producers that we keep the music true to that era." 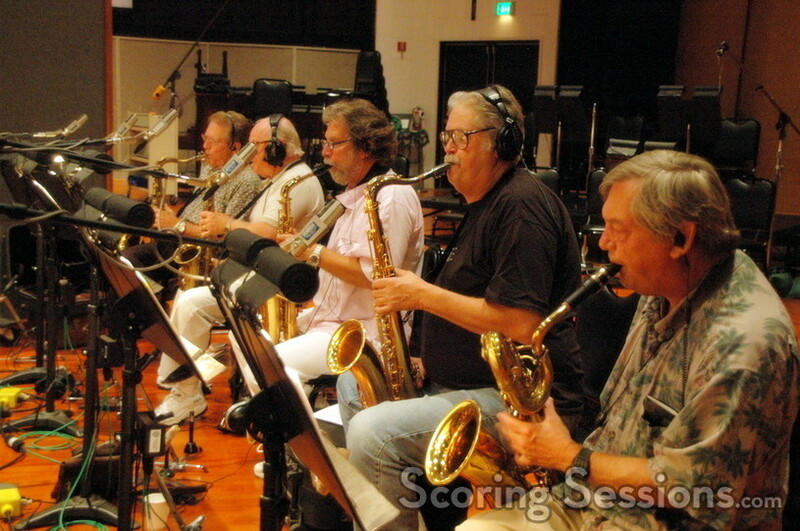 The saxophonists on "Happy Hour"
Clausen and co-composer Lee dove into the score, and were soon told that they would have to re-record the main title song. With a tight schedule ahead of them, they employed the assistance of their friend Danny Dunlap to assist with the arranging and, ultimately, additional composing duties for the pilot. 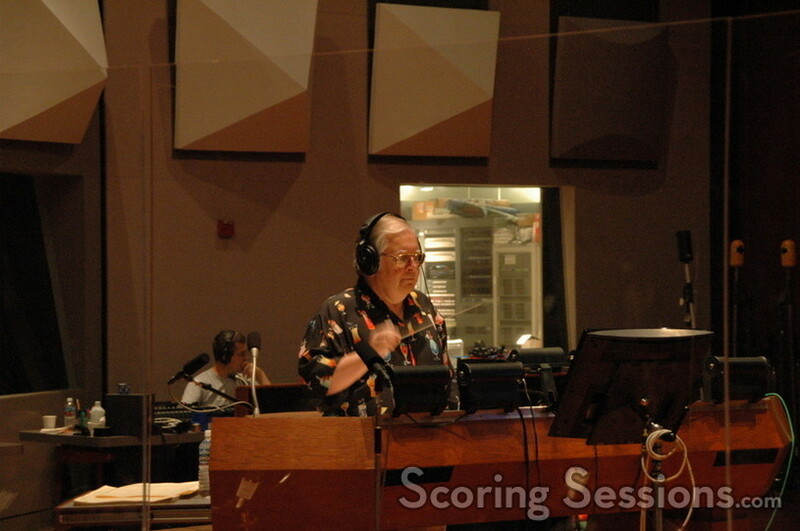 For the scoring session, Clausen was able to assemble the ultimate professional television scoring team. 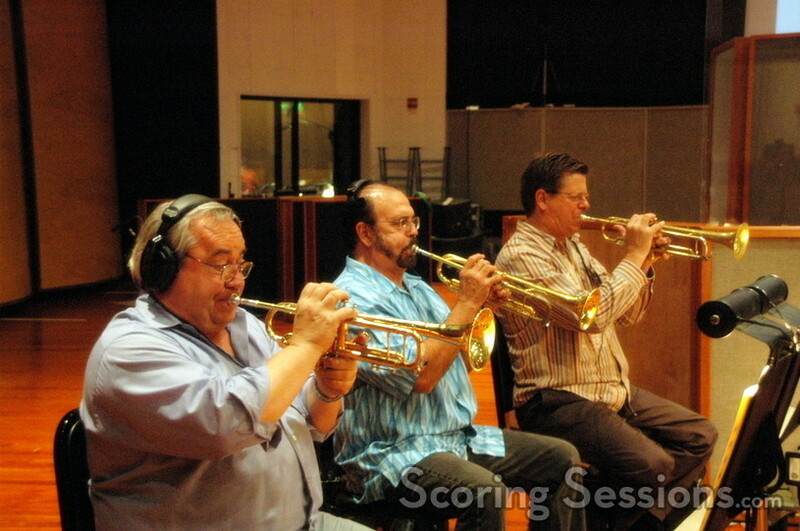 The trumpets on "Happy Hour"
Having worked for the past year as an orchestrator on "The Simpsons" (composed by his father, Alf Clausen), Scott was able to call upon everyone from that well-oiled music team to work on "Happy Hour". "It was vital for us to get through a lot of music in a short amount of time," said Clausen. "And what better team of people to do it than those that do it week in and week out?" Alf Clausen himself conducted the orchestra, which was laid out as a big band ensemble: three trombones, three trumpets, five saxophones, one piano, one bass, and one drum kit. Recently Alf released his own big-band album, entitled "Swing Can Really Hang You Up The Most". 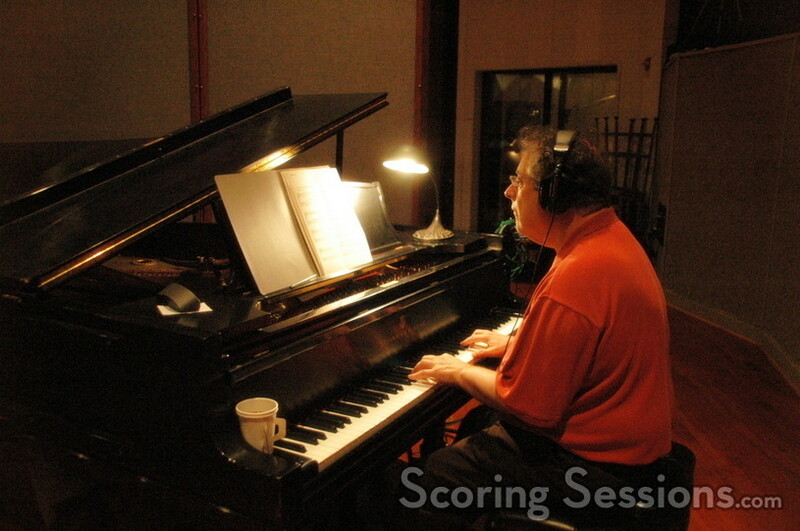 In addition to the new arrangement of the main title song, a few underscore cues were recorded over the course of the three-hour session. 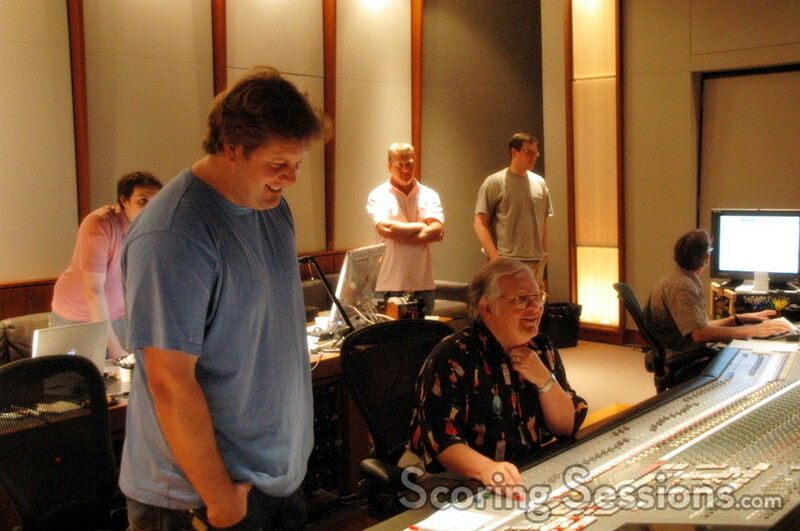 All of it was mixed by Rick Riccio, and "Simpsons" orchestrator Dell Hake assisted in making sure things were running smoothly. Mike Lang plays piano on "Happy Hour"
"It was a bit surreal having my own father on payroll," recalled Clausen, "and it was amazing to have him involved in a project like this. We didn’t have time to really think about it until after the fact, but it was quite a father/son moment." "Happy Hour" will premiere on FOX at 8:30pm, on Thursday, September 7, 2006. Scott and Alf Clausen listen to playback on "Happy Hour"